One of the important benefits of being active include a strong immune system. The good news is any form of regular exercise is beneficial because it can help prevent a lot of life-threatening diseases such as cancer. Other benefits include maintenance of normal weight. If you already have cancer, being active is recommended. 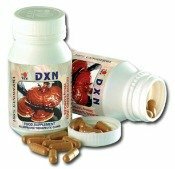 In fact, it is beneficial during and after treatment as it strengthens your immune system. You need a healthy immune system to help you fight off cancer. Regular exercise is also a natural way to relieve stress. Managing stress protects your cells from inflammation brought about by increased amount of stress hormones. The benefits of being physically active are not limited to prevention of tumor growth but also protection against other diseases such as diabetes. Your heart beats very fast when you do. As it pounds, your blood pressure is raised, releasing and providing a lot of positive and beneficial effects to your body. Macrophages are immune cells that kill invading bacteria and viruses. More macrophages mean a stronger system and better protection. This allows antibodies to circulate through your body more quickly and to have better fighting ability to flush out viruses and bacteria. You will feel as if you have a slight fever. This has positive benefits on your body as it creates a hostile environment for viruses and bacteria making it hard for them to thrive. Cytokines are the antibodies in your immune system. Exercise activates them to prevent inflammation. This is one of the important benefits of being active. When your cytokines are active, they stop chronic inflammation, which causes most of the degenerative diseases such as cancer. You are more protected if you exercise and you choose to follow an anti-cancer diet. Physical activities such as meditative yoga, a relaxing walk or a ride on the bicycle are natural stress relief tips. Doing any of these can help you cope better with stress. It helps in the prevention of the negative effects of stress on your health. 1. It reduces production of the stress hormones called cortisol and adrenaline. 2. It counteracts your body's natural stress response and helps it to return to normal state faster. 3. It suppresses too much cortisol. Remember that effects of cortisol can also be harmful. 4. It releases feel-good chemicals called endorphins to your brain. Benefits or regular exercise include improvement of your mood. Being active relieves anxiety caused by stress and even protects from depression. 5. It relieves stress because it makes you feel like you are in meditation even in movement. It lets you forget whatever it is that irritates you as you focus on your movements and the physical activity. Other benefits of being active include . . .
improves brain functions as blood flow to your brain is greatly enhanced. Cancer Prevention Home > Importance of Exercise > Why You Should Move More?